The one whose cover you can't see is "Life on Fire: A Step-By-Step Guide to Living Your Dreams" by Kim Dinan. I just finished this one in December, which probably influences it being at the top, but Pollan is such a gifted writer that his spot here is completely deserved. This is a book I'd heard of years ago, and knew it had gotten good reviews, but I always envisioned it as some long, dense read for whatever reason. Boy was I ever mistaken! This entertaining masterpiece is split into three sections related to the current American diet (industrial corn, pastoral grass, and the forest) while resulting in four corresponding meals: fast food, grass-fed, industrial organic, and hunter-gatherer. Its contents are filled with must-know information, delivered in quality writing wrapped with a personal angle. Highly recommended! 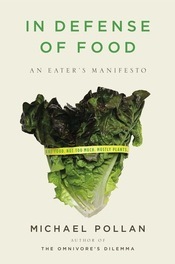 Yup, same author as above, I read "In Defense of Food" back near the start of this year. It was exactly what I needed as I began my quest towards health. Rather than promote some new diet or fad, Pollan urges readers to simplify and turn back to whole foods—real food: "Eat food. Not too much. Mostly plants." As eye-opening as "The Omnivore's Dilemma," this book dissects the American diet—which is so ridiculously processed today—and takes a look at how it got there, plus what we can do about it. Pollan offers actionable tips to follow his seven-word slogan, such as sticking to the outer walls when grocery shopping, since processed not-real-food products are usually housed in the middle shelves. Mr. Feynman is a Nobel Prize winner in physics who worked on the atomic bomb and tossed ideas around with Einstein and Bohr. He was a bright, curious man, who had acquired quite the collection of adventures during his lifetime. 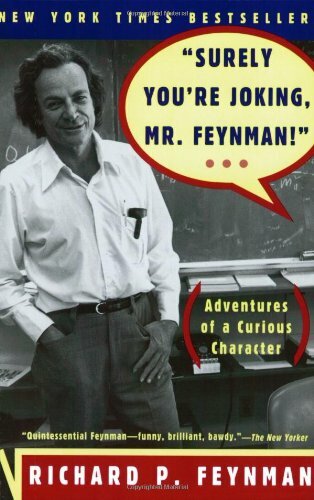 I laughed a lot while reading, and enjoyed Feynman's brilliance in the tales, which are told by the clever man himself in plain, casual English. I remember this book being a faster read, and highly enjoyable. I was a bit wary of picking up a best seller, but was pleasantly surprised. 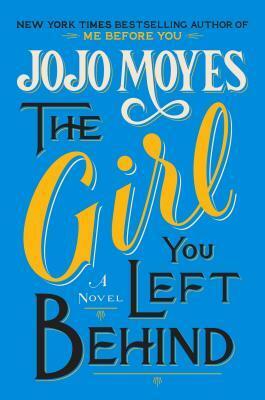 The title refers to a painting, which is the center of the book— connecting two stories together: one that takes place in France during WWI, and the other during present day. Perhaps it's because I read this between a string of non-fiction, but I loved being completely transported to the past in the first half of the book. And while the second story had many non-realistic coincidences, it for some reason didn't bother me, as it felt like I'd gotten a two for one deal—getting lost into two different stories with just one book. 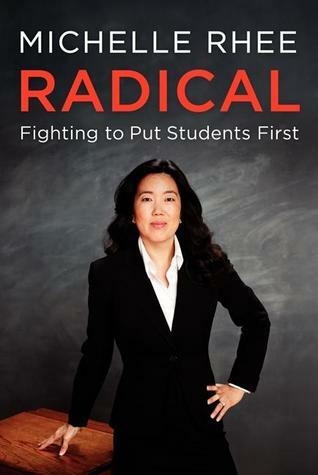 I read this book much earlier in the year, so details escape me now, but I do remember that it was motivating and inspiring to see the difference Michelle Rhee has made in our country's education system. I love to see people's stories from the beginning, before they had a reputation. How did one get to where they are today? Everyone started somewhere. Seeing the problems with our education system close-up definitely reignited my desire to teach; I surely browsed Teach-for-America-type programs after reading, but I'm pursuing other routes at the moment. There were some five- and four-star ratings in that line-up, but there were several other books I gave four stars to this year. I'll list them below as honorable mentions. 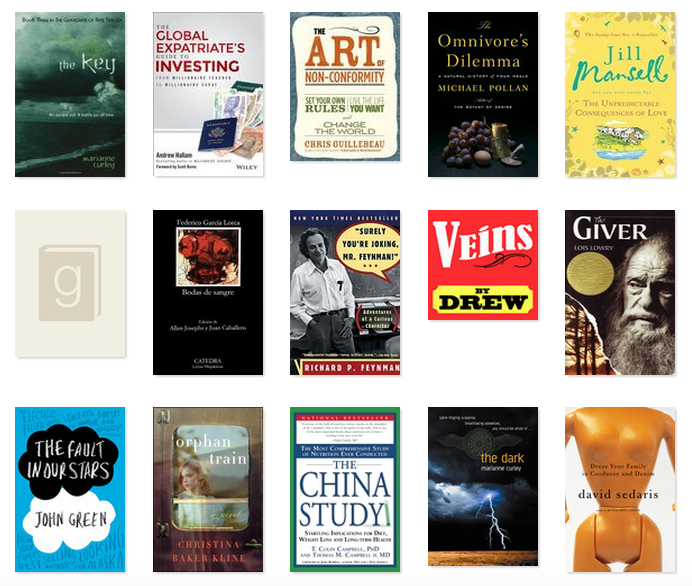 Did you make a reading goal this past year, or will you make one for 2015? Have you read anything awesome lately that you recommend? I love David Sedaris, but I think that is partially because he writes about places I am familiar with across North Carolina years before I ever experienced them (like shopping centers and neighborhoods). Was that expat investing book worthwhile? I am actually pretty afraid of doing anything outside of my work's pension scheme because there is extra scrutiny from the IRS on Americans in Switzerland. Yeah, I actually listened to that one as an audiobook (Sedaris read it himself), which was really great! The expat investing book was worthwhile for me, because I knew close to zip from the start, so it gave me a base knowledge of investment ideas/concepts to build on. I'm working on a book review post which should be up soon, this month at least... and head's up -- I'm going to give away a copy of the book! Richard Feynman is my husband's favorite physicist, and he's read all his books, this one included. I keep telling him I'll read a Feynman book one day...maybe I should start with "Surely You're Joking"! Oh yeah, that'd be a perfect start! Easy read, and highly entertaining. I'll have to check out what other books he's written, see if there are any more non-technical reads. 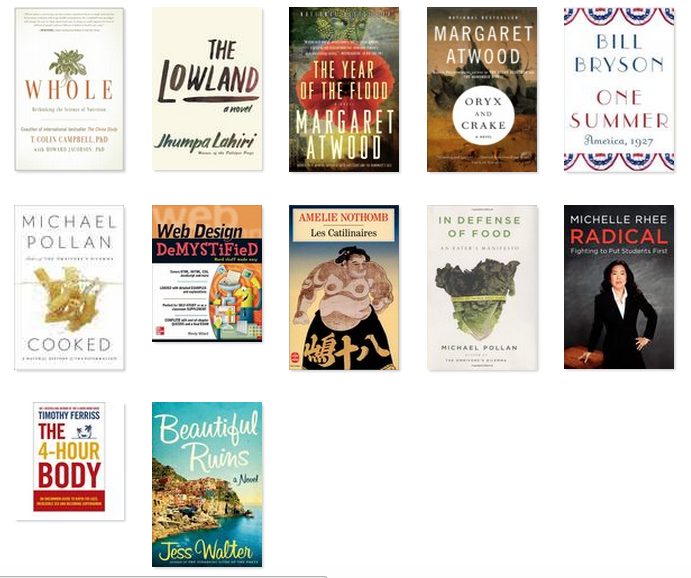 Thanks Rene for the incredible book list! I will definitely be checking out some of these in the future. I made a goal to start reading classic books again last year, and it has been a surprisingly rewarding experience. Here are my recommendations: "The Count of Monte Cristo" and "The Adventures of Sherlock Holmes" blew me out of the water in that I never felt like I was reading a book that was written more or less 100 years ago, . "Rebecca" was also intriguing and I devoured it. "A Town Like Alice" was very different from the "typical" classic. If you're looking to read something in Spanish, "Shadow of the Wind" is an exciting read (and on the BBC's 100 books you should read in your lifetime). As for non-classics, some books that are along the lines of "The Omnivore's Dilemma" (in style, not so much in subject matter) are "Blink" and "Moonwalking with Einstein". Good luck with your reading goal for 2015! Thanks so much for the recommendations—I definitely do need to read in Spanish! I've read "Blink" and "Moonwalking with Einstein," but all of the others I haven't. Adding them to the list!